Classic and timeless, the Merlin Chair by Eichholtz is crafted by skilled artisans in Holland. The sturdy framework and deep seat is built with a plush foam fill to provide maximum comfort. 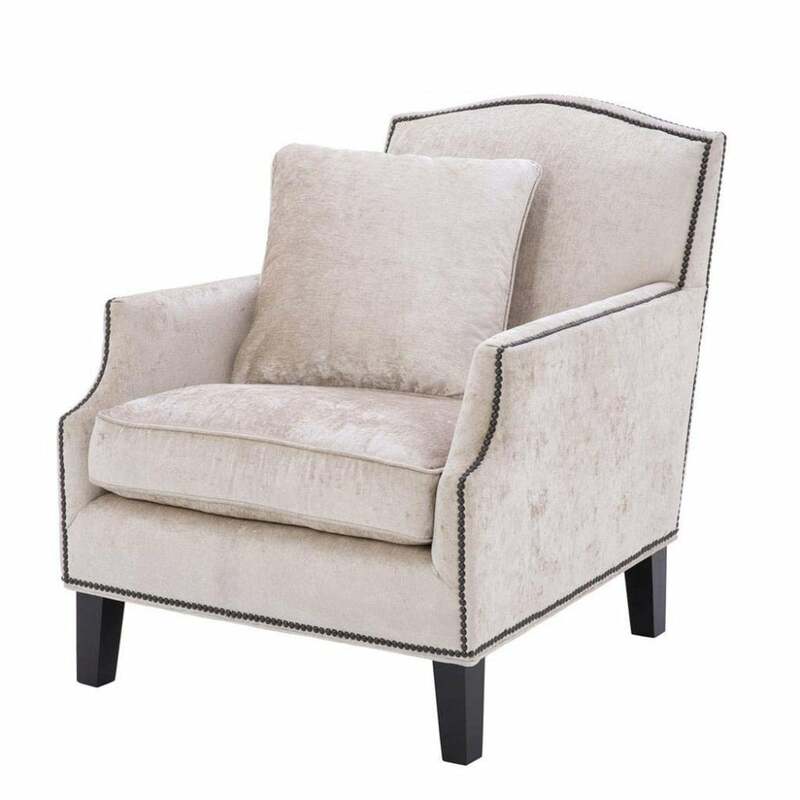 Upholstered in a beautiful mirage, off-white fabric the chair has a subtle texture that is soft and sumptuous. The elegant shape and contoured arms is incredibly versatile and will suit both traditional and contemporary homes. Exuding a Parisian style elegance, Merlin is adorned with antique bronze nails and polished black legs. Pair with the Merlin Sofa from the Eichholtz collection to create a luxe living room scheme. Make an enquiry for more information.